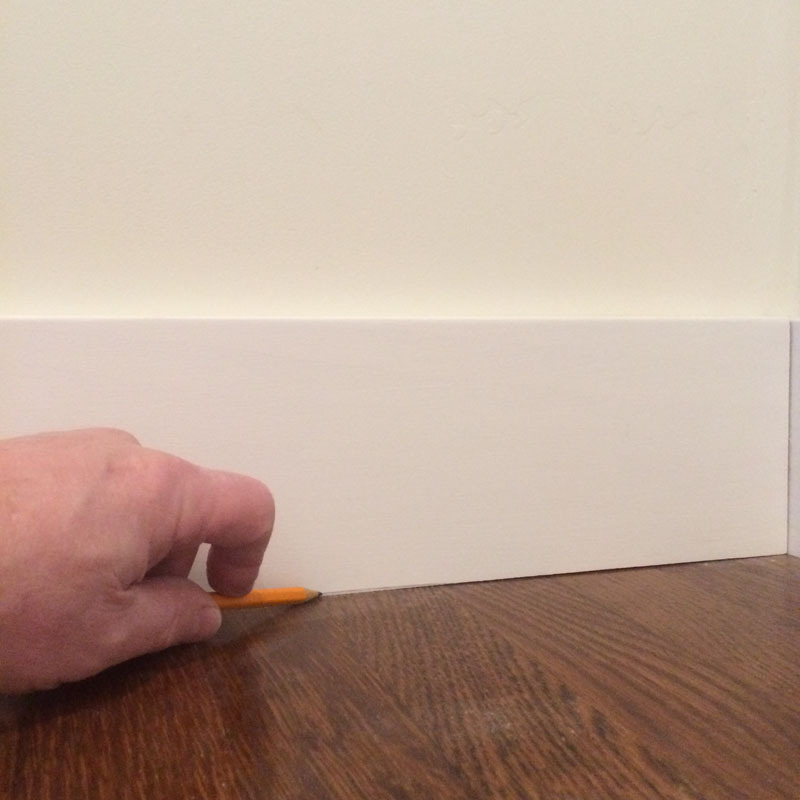 Yep, the baseboard. 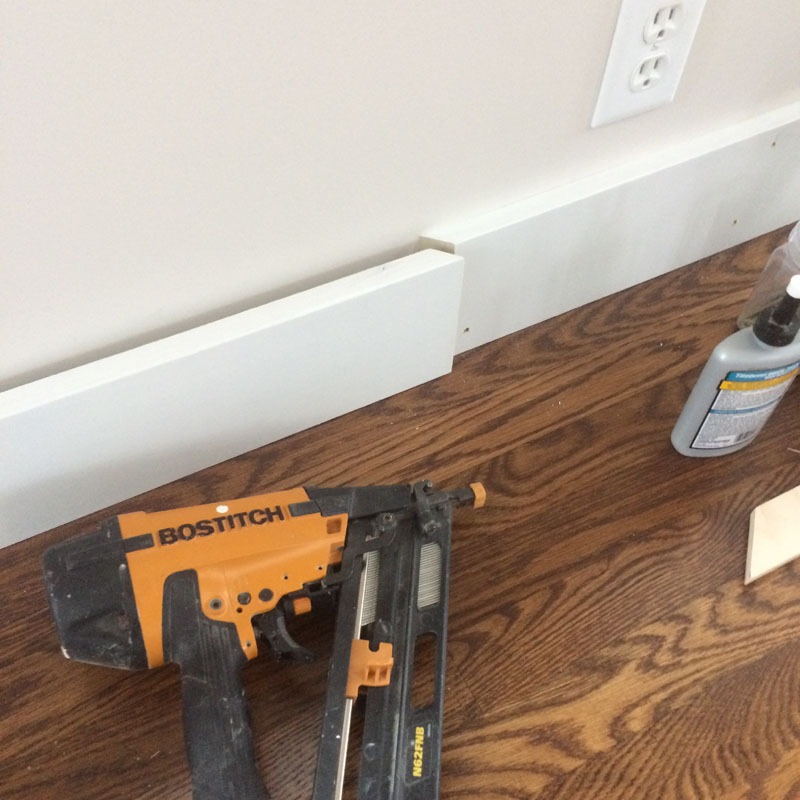 I can’t tell you how thrilled I was that my next project on the list was putting in new baseboards after the floors were installed. I’m using 1X flat stock of poplar, 10 feet long. 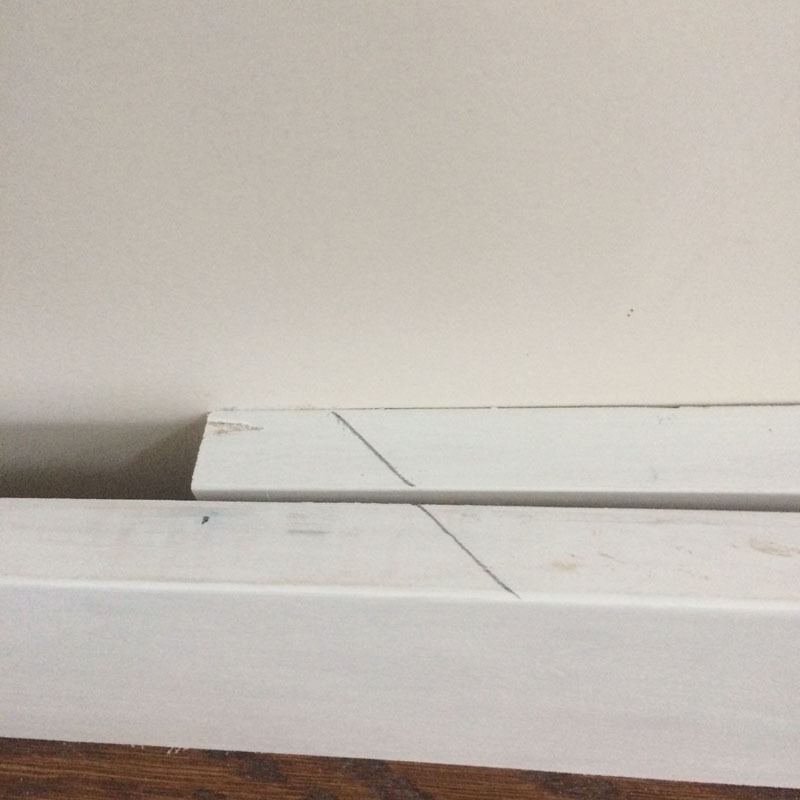 This is a simple squared off design, so no coping the corners, no this should be a simple install 1-2-3 done! But are we forgetting something? Anything? 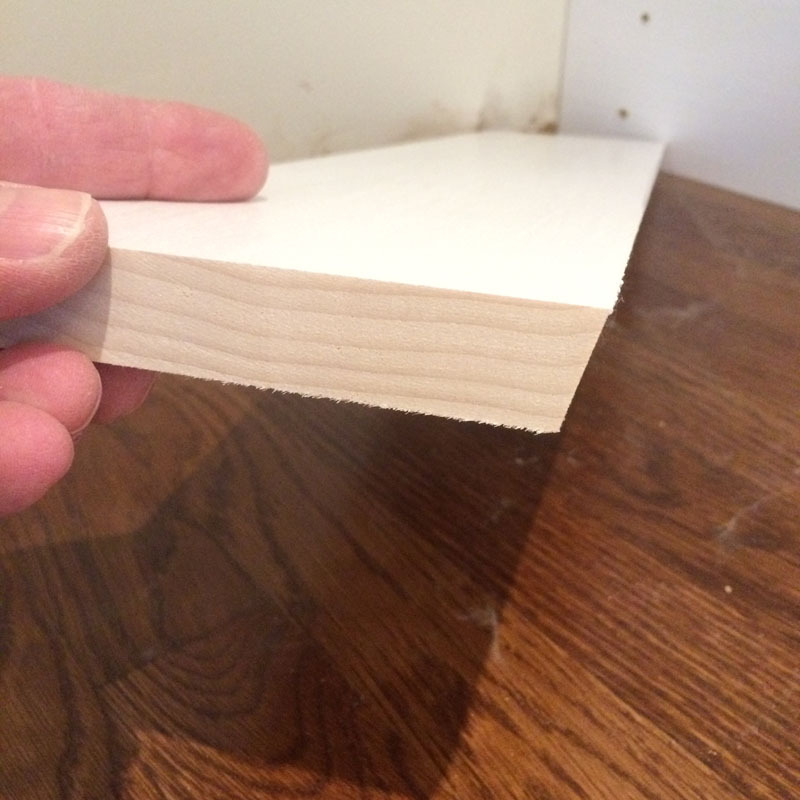 Well, yes – this is no mere baseboard – this is part of our ongoing art project. Add a little OCD in there and this easy project become a little more complicated. 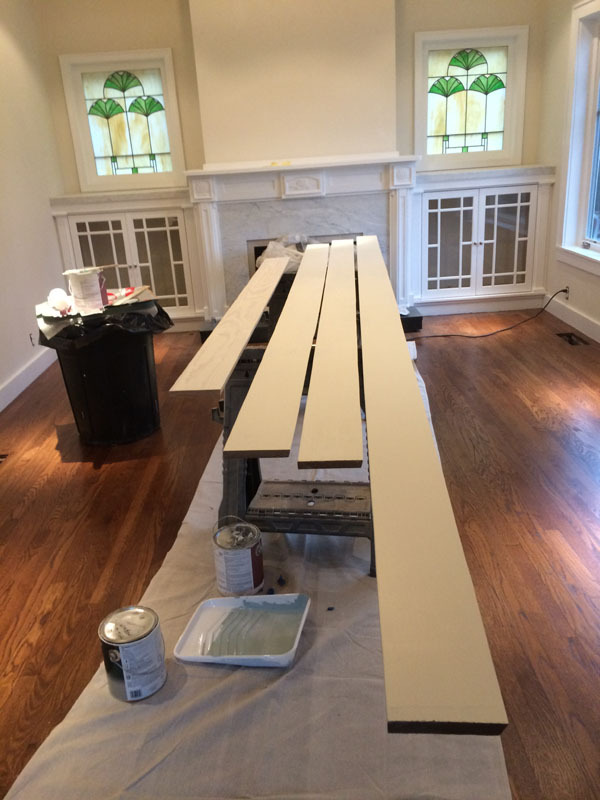 First we size up some boards and give them a coat of primer and a couple of finish coats. It’s a lot easier to finish them on the sawhorses than on my creaky old knees. Second, we bevel the bottom at an angle so that the base comes to a point at the front. 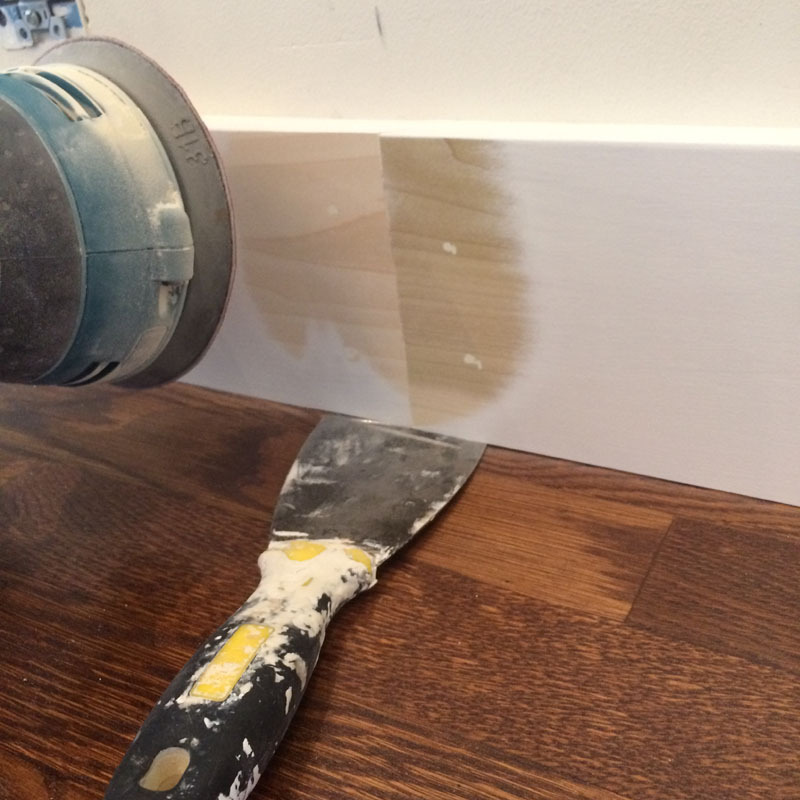 This will make removing any wood easier. After we cut them to size, it’s time to scribe the base. Having done this many times. I just use a pencil and position my hand to make the marks. 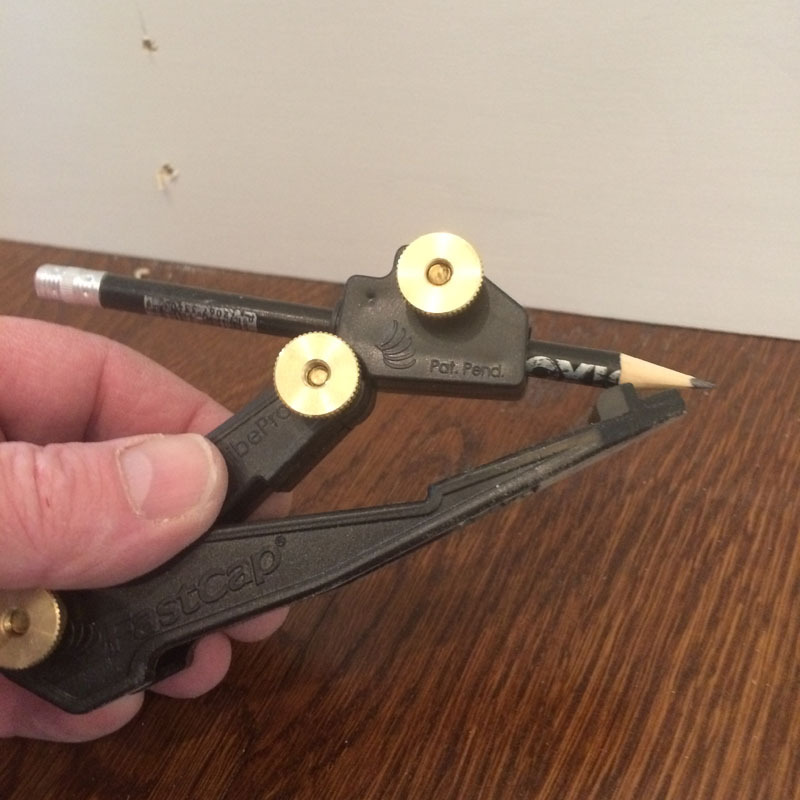 If you’re a little unsteady in the hand department, you can also use a scribe tool like this. Scribing the base will show the high spots in the floor in relation to the base, so to remove the extra material, we get out a sander and sand to the line. 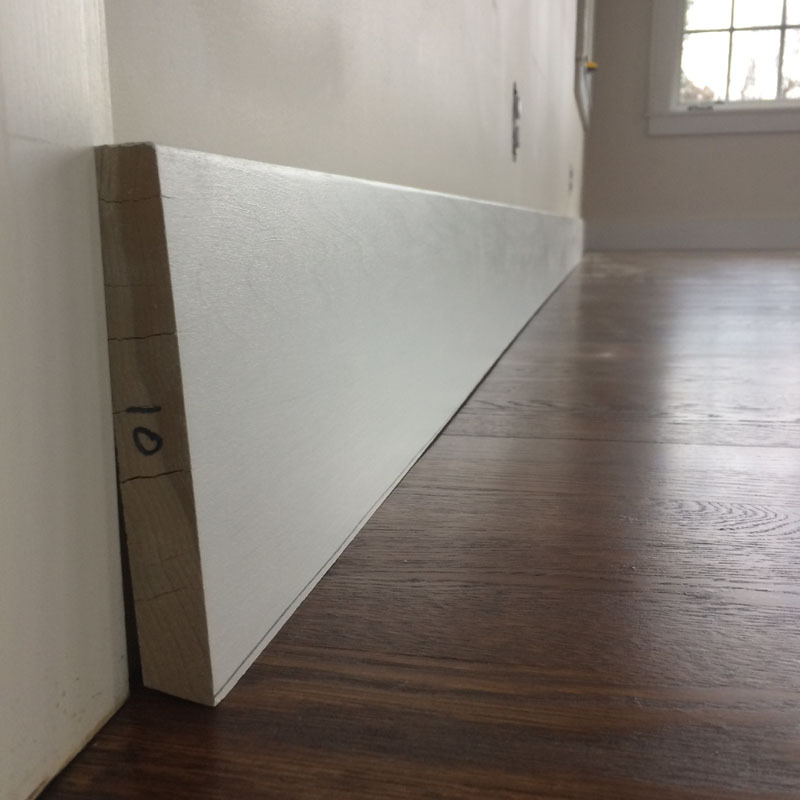 Now that we have the pieces scribed to the floor, we make a mark for the scarf joints on the walls that are longer than 10 feet – which is most of them. Once we get them cut to the right length, we glue and nail the scarf joints together. 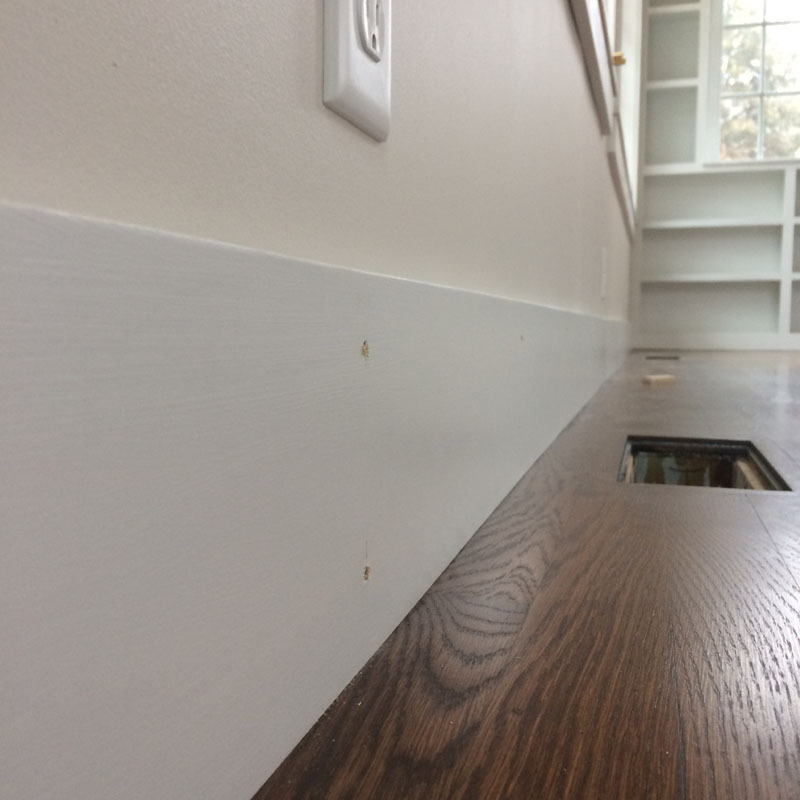 The joint is cut to land on a wall stud for extra strength. 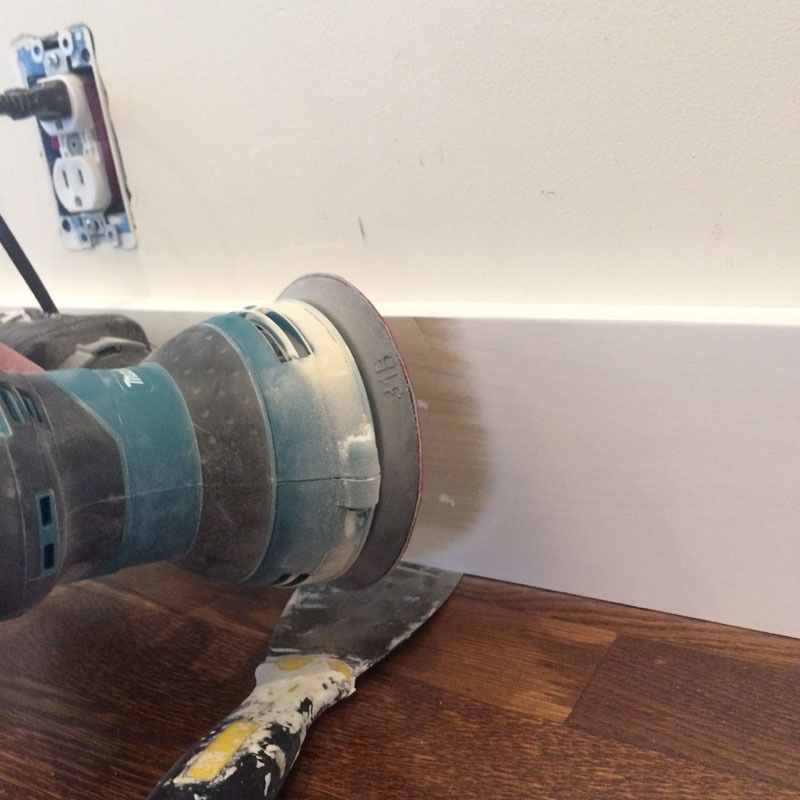 I use trim head screws to attach the baseboard to the wall through the wall studs for a tight fit. 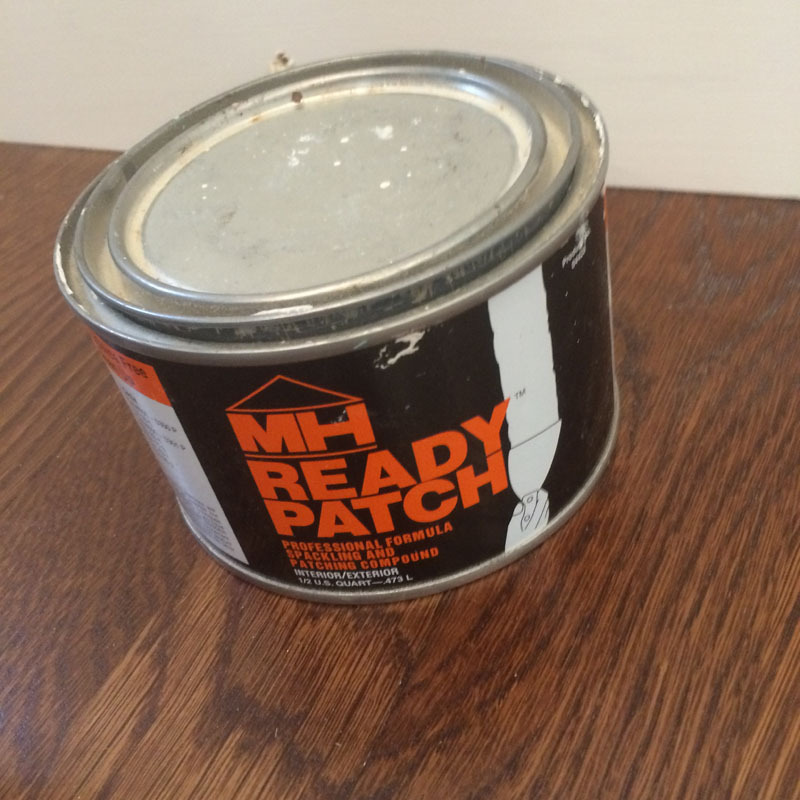 I use Ready Patch to fill the holes. I really like this stuff, but buy the smallest can you can, because it will rust in the can. That’s three ‘cans’ in the same sentence – impressive. Everything goes slower now that the floors are partially finished. 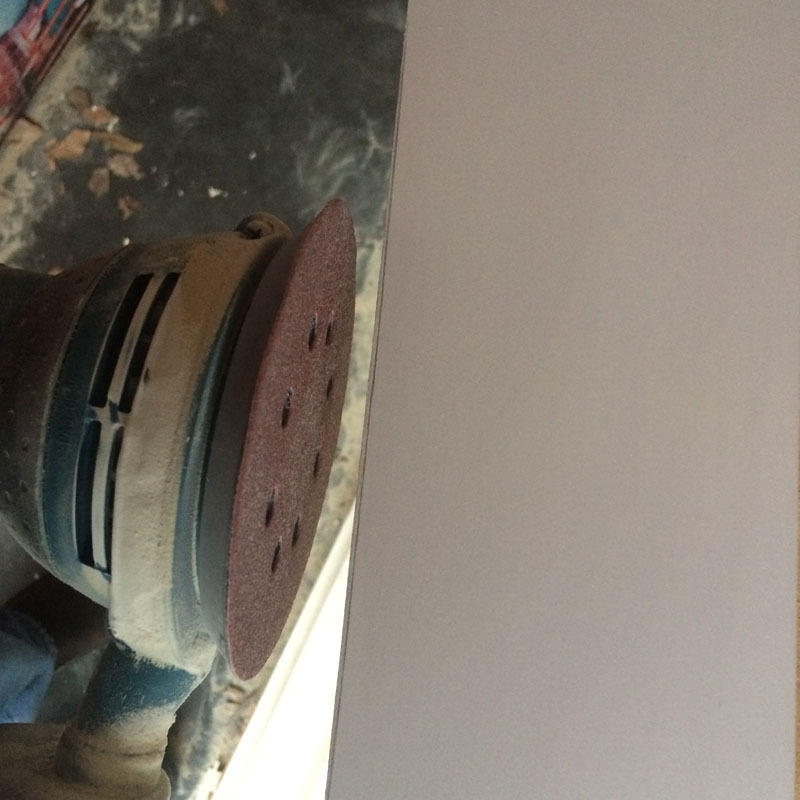 I use a drywall knife on the floor to make sure my disc sander doesn’t have an accidental meeting with the floor. Once the scarf joint is sanded it is primed and given a couple coats of paint. So after several hours crawling around on the floor like a worm, we get to see the fruits of our labor. We still have filling and sanding to do. Now no one will see this unless they drink too much or I fall asleep while renovating this place – but then my OCD can take a break. 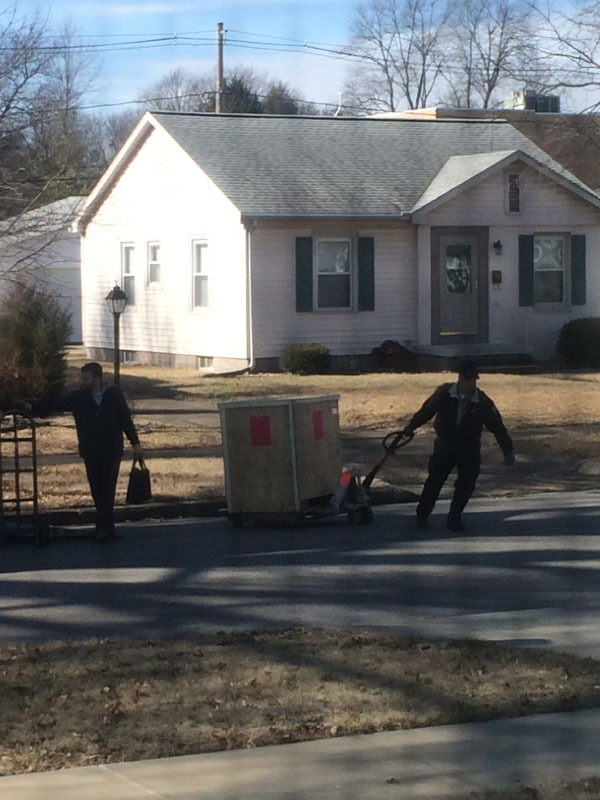 While I was wrestling with the baseboard, these two guys showed up. 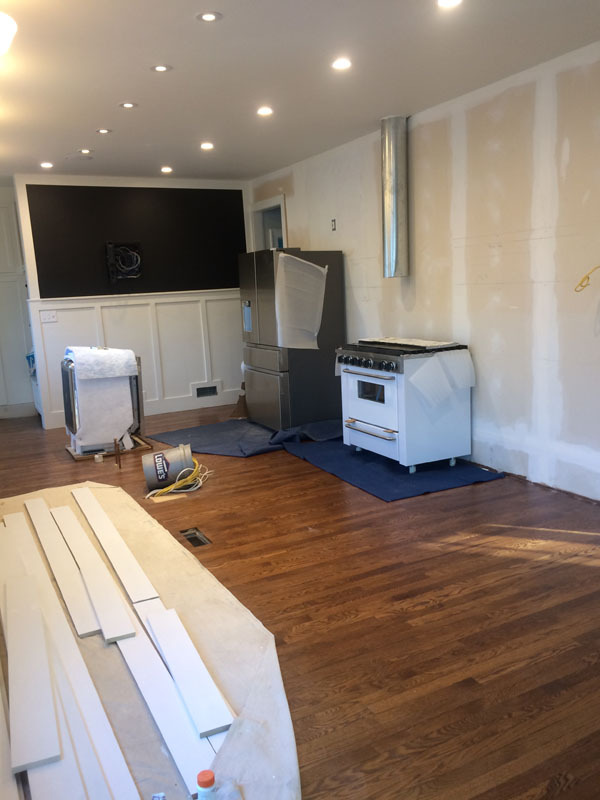 And delivered my new gas range to my imaginary kitchen – boy, I can almost smell the bacon now. And once the baseboards were in I started to fiddle with the TV lift and connections. I’ve bolted on a 32″ TV to work out the bugs before I put the 55″ one in that belongs there. 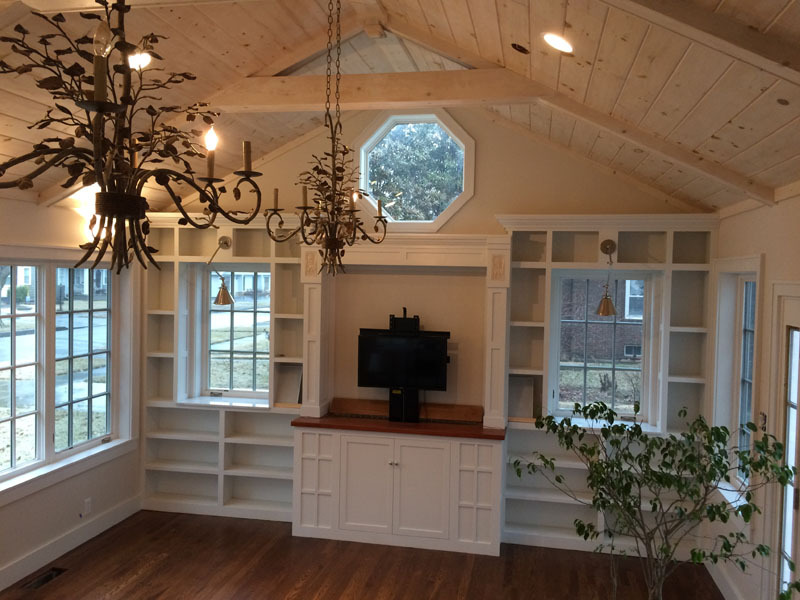 So there you have it – another fascinating glimpse into the MisAdventures world of Remodeling. I hope everyone is having a safe and happy weekend!